3D Trick Art Gallery is a New Zealand owned business. Located in Rotorua of New Zealand, the heart of Maori culture. 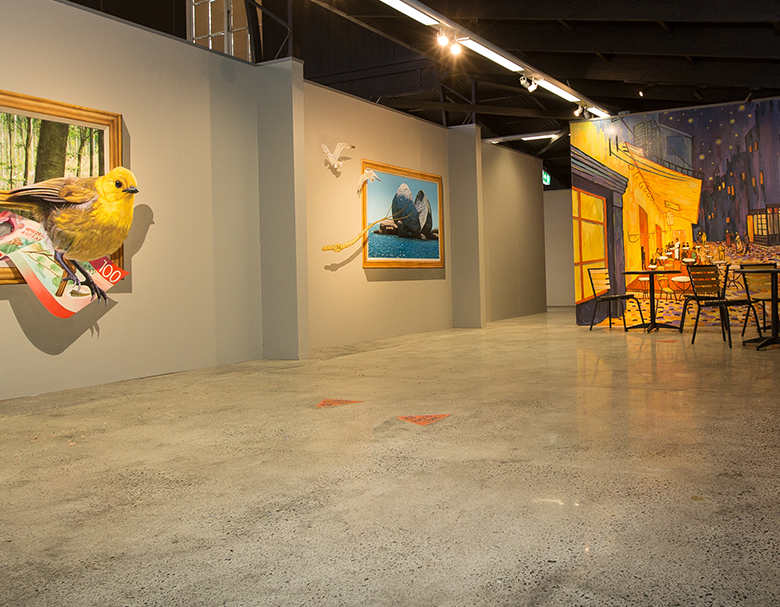 It is the first ‘Trick Art’ gallery with unique New Zealand themed Trick Art. Throughout the 1250 square metre indoor space, more than 50 trick artworks are displayed in 5 themes including Classic Art, Kiwi Life, Challenge, Fantasy, Grand Nature. These works were created by 10 professional 3D painters invited from overseas. In their field - they are some of the best in the world. The audience are not just looking at the works, but can jump into the paintings, be immersed and enjoy the pleasure of the optical illusion. As it is an indoor gallery, you can enjoy throughout the year - rain, hail or shine. 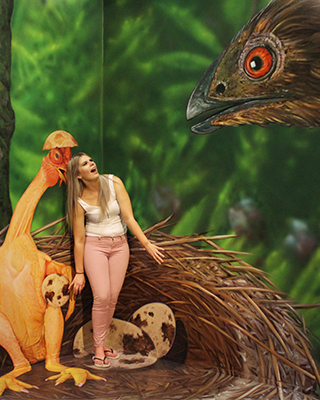 3D Trick Art Gallery is located in the main spot of Rotorua tourism. There are plenty of tourist attractions in the neighbourhood. If you want to enjoy the luge, OGO and Maori culture of Mitai Maori village, you can find easily within 5 minutes distance from 3D Trick Art Gallery. Moreover, 3D Trick Art Gallery is located in the Heritage Farm, a 14 hectare farm site having various tourist attractions. When visiting the gallery, you can also enjoy the variety of sights and food such as Farmside Buffet Restaurant, The Farm Tour, Deer Museum(opening soon) alongside 3D Trick Art Gallery. 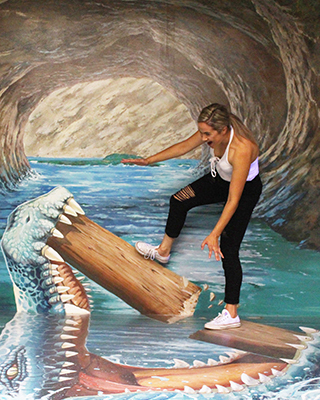 3D Trick Art Gallery is open in Rotorua with Unique and first Trick Art that is themed by New Zealand. Do you love New Zealand Life Style? Are you impressed by nature of New Zealand? Here we offer you a chance to enjoy the unique and special moment of being a part of New Zealand at 3D Trick Art Gallery. Enjoy being a part of the art, Kiwi, All Blacks and NZ Grand Nature and take great memory from your Rotorua Trip. Have you ever been disappointed with poor quality attraction that does not worth for money you paid? 5 themes featuring New Zealand Life and extra will never get you bored. Over 50 pieces of life-size and hyper realistic murals inspired from New Zealand Nature and life style. It stimulate your imagination and creativity. Among the diverse themes at 3D trick Art Gallery, challenge your creativity to the test and win prizes from our regular event. Find our event from facebook page. Free from weather and time during your journey. Are you concerning bad weather, tricky time schedule for your Rotorua Trip? 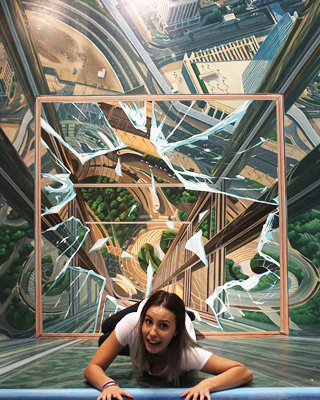 3D Trick Art Gallery is the one you must visit. 3D Trick Art Gallery is an indoor gallery with wide range of magical trick art works. You will get never bothered with bad weather. In addition to that, we do not require pre booking, you can visit any time at your convenience in our opening hours. Contact us NOW for more information.